Experience Vishal Dar’s new, augmented-reality sculptures in decommissioned military batteries on these special artist-led walks. Part of an ambitious global project, Edge of See: Twilight Engines uses site-specific light sculptures viewed through an augmented reality iOS app to push the senses of vision, scale, motion, and time. 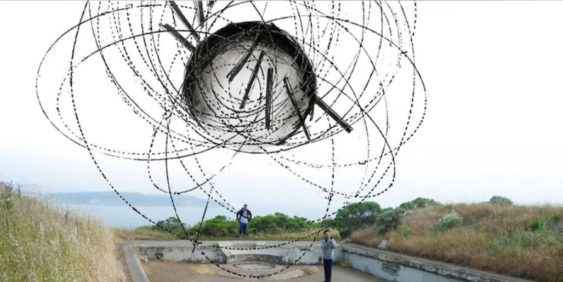 Dar brings his primary question–what is the edge of sight?–to the landscape of the Marin Headlands, using technology to overlay batteries with abstract light sculptures, or “engines,” that spin, turn, and tumble in response to the environment. On these walks, Dar guides visitors on a short hike from Headlands Center for the Arts to view the sculptures at nearby batteries Mendell, Wallace, and Smith-Guthrie.